Everyone has something they really want to do - a life changing challenge, an unforgettable experience or something that is just plain fun. Why not combine a holiday to South Africa with watching an England test match, a One Day International or a T20 match. We can assist with match tickets and hospitality packages. Why not combine a holiday to South Africa with watching an England test match, a One Day International or a T20. We can assist with match tickets and hospitality packages. From December 2019 to February 2020 the England Cricket Team will be touring South Africa (exact dates, still to be confirmed). 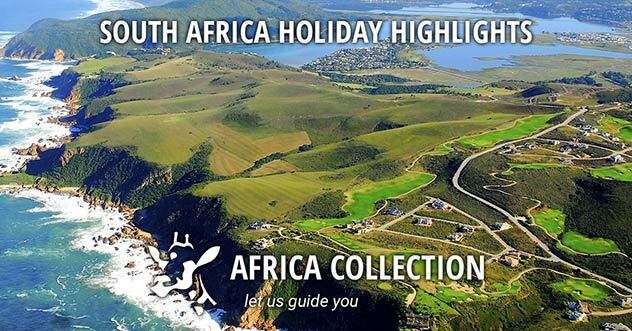 Why not combine a holiday to South Africa with watching a test match, a One Day International or a T20 match. It doesn't have to be a specialist cricket-watching tour, although we will be offering those too, but just part of your visit to South Africa. Or we can arrange a full tour for you to follow England for as long as you choose. We can assist with match tickets and hospitality packages for any of the matches on the tour, we have guaranteed access to tickets for all of the matches on the tour. With Table Mountain looming in the background, Newlands (often the early New Year test match venue) in Cape Town is one of the most scenic and iconic cricket grounds in world cricket, rated 2nd only to the historic Lords Cricket Ground by 'The Cricketer' magazine. The Wanderers Stadium in Johannesburg (nicknamed 'The Bullring' due to its design and intimidating atmosphere), is another iconic venue. Kingsmead in Durban (usually the boxing day test venue), Centurion In Pretoria & St Georges Park in Port Elizabeth usually complete the series venues. 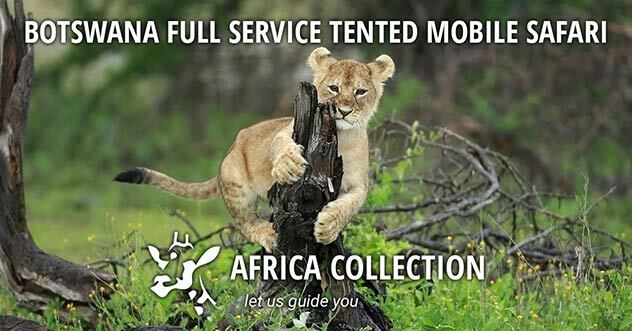 Why book with Africa Collection? We will be the first to admit that we are not a cricket or sports specialist - if you want a branded polo shirt, backpack & to travel in a large group, then we're not for you. 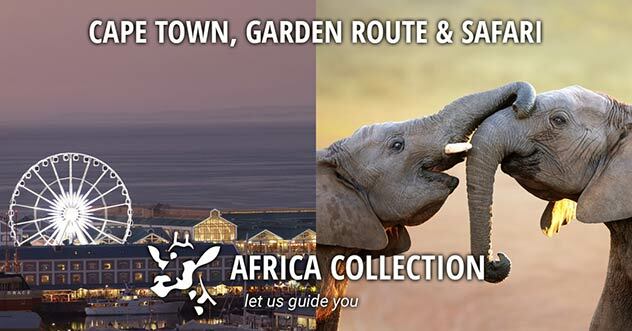 But if you want the expertise that comes with being one of the UK's leading specialist tour operators, with 20 years experience, to South Africa, then get in touch. 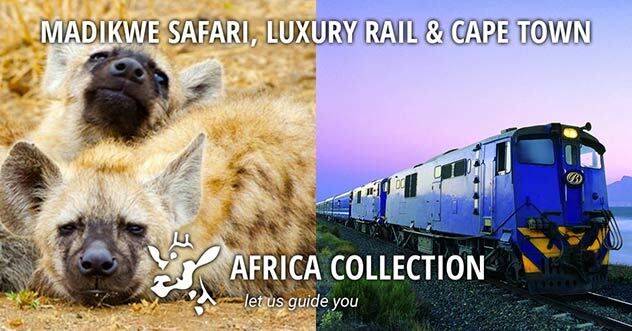 We KNOW that we will put together the very best trips to South Africa, the rest of Africa and the Indian Ocean. 1st Test - 26 December 2019 - Possibly Durban (Kingsmead), Johannesburg (Wanderers), Pretoria (Centurion) or even Port Elizabeth (St Georges Park), still very much TBC! To register an expression of interest please click the "Make An Enquiry" button on this page and we will send you full details once the confirmed schedule is available. South Africa is an ideal location for those wanting to marry amongst nature and wildlife in a private game reserve, capturing the natural surroundings that the bush has to offer. South Africa is an ideal location for those wanting to marry amongst nature and wildlife in a private game reserve, capturing the natural surroundings of the bush. Each safari lodge will host a memorable wedding ceremony whether you choose to have it in the middle of the African bush surrounded by the Big Five, at the swimming pool with a back drop of the watering hole or in the superb lounges and bomas. Each of the venues will make your day one to remember. Spend your wedding evening enjoying a spectacular gourmet meal on your private deck, or in the bush under the stars and by candlelight. Concentrating on two National Parks within South Africa; Kruger National Park offers a wildlife experience that tops one of the best in Africa, established it 1898 it covers more than 2 million hectares in size with over a million visitors a year. The flagship National Park is home to a huge variety of animal, bird and plant species. 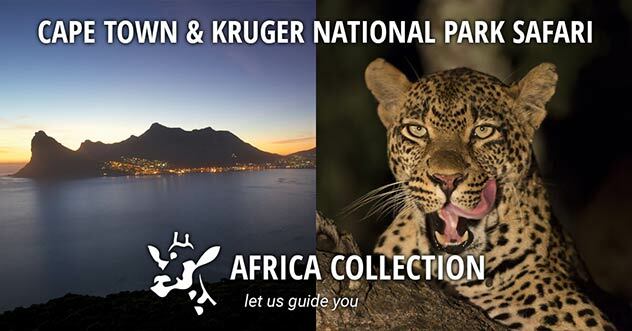 The park is easily accessible from Johannesburg, with a 5-6 hour drive, or take an internal flight to Kruger Mpumalanga airport or even a private charter to the lodge’s private airstrip. Within the Kruger National Park you will experience some of the most exclusive and luxurious game lodges which will make you’re wedding a very special one. Madikwe Private Game Reserve is a four hour drive from Johannesburg on the border of Botswana and one of the North West province’s best kept secrets, offering a range of lodges to suit each guest’s needs. The reserve is malarial free and home to the Big Five including wild dog, black rhino, cheetah, and brilliant wildlife. The Mozambique coastline offers some of the most spectacular and sport fishing in the world. Here, the Indian Ocean is a marine reserve, unspoiled and largely unexplored. The Mozambique coastline offers some of the most spectacular &: Exciting and sport fishing in the world. Here, the Indian Ocean is a marine reserve, unspoiled and largely unexplored. The Mozambique coastline offers some of the most spectacular &: Exciting and sport fishing in the world. Here, the Indian Ocean is a marine reserve. The Mozambique coastline offers some of the most spectacular sport fishing in the world. Here, the Indian Ocean is a marine reserve, unspoiled and largely unexplored, with the deep Mozambique Channel fed by the strong north to south Mozambican current, harbouring some of the world’s most exciting sport fishing destinations, the Bazaruto and the Quirimbas Archipelagos. Mauritius offers superb deep sea fishing, with perfect conditions prevailing throughout the year. Mauritius holds several world fishing records (IGFA), including that of the Mako Shark of 1115 pounds, the Blue Shark of 400 pounds, a Bonito of 41.5 pounds, a white tuna of 224 pounds and a ‘bécune’ of 125 pounds. The famous Blue Marlin's enormous size and legendary fighting ability makes it one of the most highly targeted game fish in the world. And the most exclusive fishing destination? What truly distinguishes Desroches Island in The Seychelles as one of the most desirable fishing destinations in the world is the combination of abundant marine life and luxurious island accommodation alongside this aqua marine adventure. Desroches Island is the perfect destination for fishermen travelling with non-fishing partners and families - offering that exquisite contrast of exclusive comforts coupled with spectacular fishing on and around the Amiranties Islands. From warmer Indian Ocean species on the east coast to the cold-water fish of the Atlantic Ocean west coast, deep sea fishing in South Africa is not just about a trophy on your wall – it's about being out there on the African waters, tasting the moment, in the company of friends and a responsible skipper, enjoying the chase and fight of something like a good yellowfin tuna out of Hout Bay. 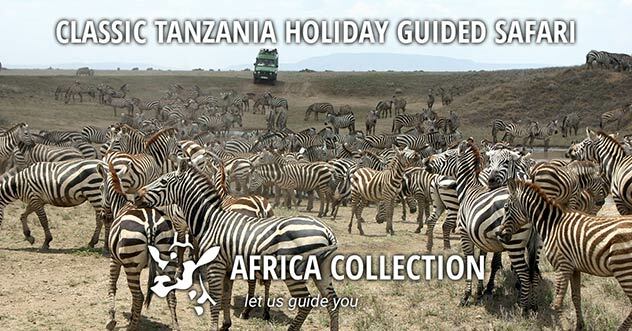 The migration in East Africa is a safari 'must see' and one of the most spectacular wilderness shows on earth. Millions of Wildebeest and Zebra migrate on an 1800 mile journey. Often described as the ultimate infinity pool, The Devil's Pool is a natural rock pool on the edge of the mighty Victoria Falls. It is located along the Zambezi River in Zambia. The Devil's pool is often described as the ultimate infinity pool. The Devil's Pool is a natural rock pool on the edge of the Victoria Falls and it is located along the mighty Zambezi River in Zambia. Why not combine a holiday to South Africa with watching The British & Irish Lions rugby team who will be touring South Africa in 2021, one of the sporting highlights of any year. The British & Irish Lions rugby team will be touring South Africa in 2021, one of the sporting highlights of any year. 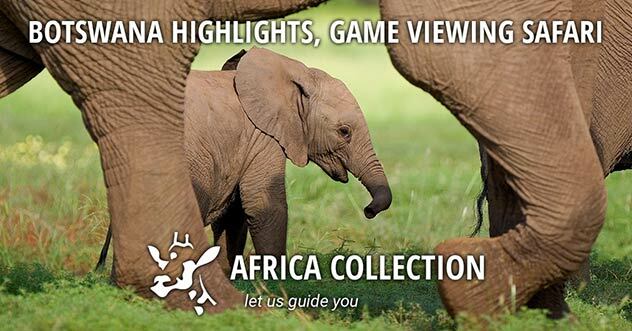 Africa Collection will be organising tours to encompass each of the (usually) three Test Matches, and the midweek games. 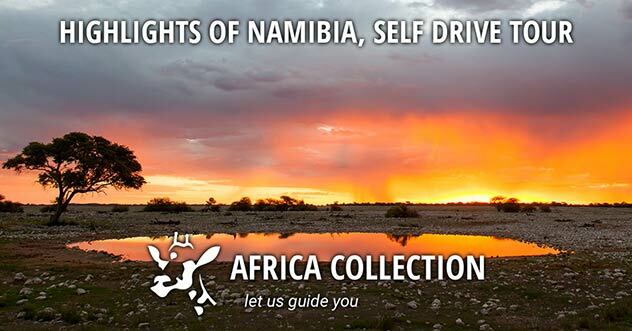 We are a specialist tour operator to South & Southern Africa, so we like to think that our tours will be that little bit more unique than the regular sports tours. 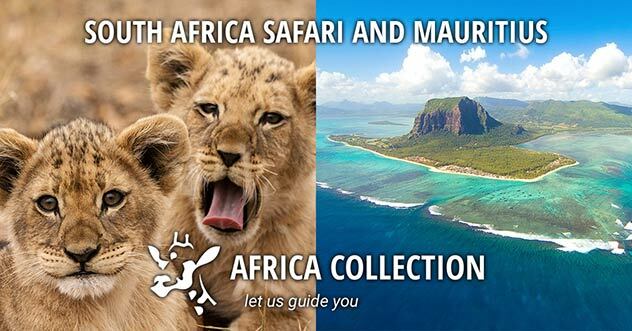 Using our 26+ years of experience in arranging holidays to South Africa we will be offering something a little bit different, whilst still taking in the highlights of South Africa and of course the matches themselves. Do you have a sense of adventure? Then sailing the expanse of the Quirimbas Archipelago in northern Mozambique is one of those adventures you have to do in your lifetime. Do you have a sense of adventure? Then sailing the expanse of the Quirimbas Archipelago in northern Mozambique is one of those adventures you have to do. Do you have a well developed sense of adventure? Then sailing the expanse of the Quirimbas Archipelago in northern Mozambique is one of those adventures you have to do in your lifetime. Under the expert leadership of your experienced guide and crew, you will explore uninhabited islands and yield to Mother Nature and let her decide the direction in which your sails turn. Your mouth will water at the fresh seafood and tropical dishes cooked for you over an open fire under the island stars. 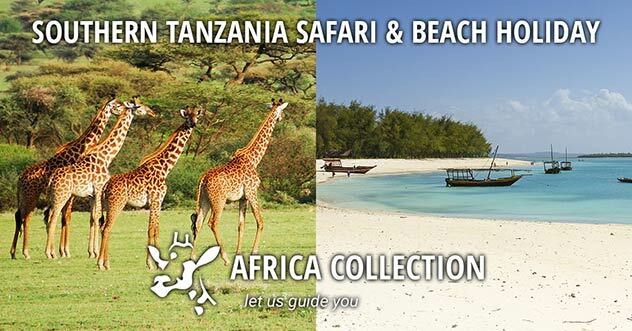 A unique destination, we offer tented mobile dhow, kayak, and birding island hopping safaris in this region. Explore a coastline fringed by tropical islands in a sturdy motorized 11 metre Arab dhow complete with experienced crew and guide. Sea kayak or sail up wide coastal river mouths teeming with rare bird species and pristine mangrove forests. Snorkel off deserted white sandbanks and into turquoise seas, and sleep in mobile tented camps on uninhabited tropical islands. End your adventure on heritage-rich Ibo Island enjoying the well earned comforts of Ibo Island Lodge. A perfect end to a unique adventure! Piton de la Fournaise (meaning Peak of the Furnace) on Reunion Island in the Indian Ocean is one of the world's most active volcanoes, and is classified as a World Heritage Site. Piton de la Fournaise (meaning Peak of the Furnace) in the Indian Ocean is one of the world's most active volcanoes, and is classified as a World Heritage Site. If you want to inject a bit of Easy Rider style excitement into your trip, why not hire a Harley Davidson? Enjoy the freedom to cruise along the spectacular, exhilarating Cape coast. If you want to inject a bit of Easy Rider style excitement into your trip, why not hire a Harley Davidson? Enjoy the freedom to cruise along the spectacular Cape coast. The below is a list of holiday activities for the adrenaline junkie / thrill seeker who would like to tick an item off their bucket list.